5BPMN (Business Process Model and Notation) is the established standard for business process modeling. Only a few years after its first publication, it has gained widespread adoption in practice. All important modeling tools support BPMN diagramming. It is possible to create business-oriented diagrams, but also technical models for process execution in business process management systems (BPMS). 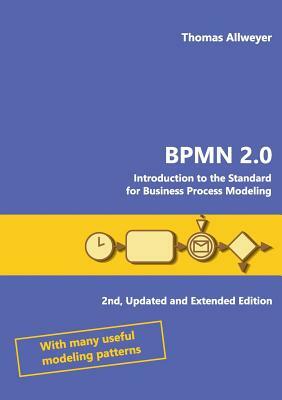 This book provides a stepwise introduction to BPMN, using many examples close to practice. Starting with the basic elements for modeling sequence flow, all BPMN 2.0 diagrams are presented and discussed in detail. You will gain a profound understanding of the complete notation, and you will be able to make correct use of the different language elements. In the second edition, a collection of useful modeling patterns has been added. These patterns provide best-practice solutions for typical problems arising in the practice of process modeling.